DLK’s Liquid-Lift Treatment is a safe and effective treatment to improve the appearance of aging skin and repair skin elasticity on the neck, upper chest, and face. DLK on Avenue is introducing an innovative treatment that uses a synergistic combination of Hyaluronic Acid and dermal restructuring complex to treat fine lines and wrinkles and to rejuvenate and rehydrate the dermis for more youthful skin. Specifically engineered for the skin on the neck, upper chest, and face, this treatment can be used in combination with other cosmetic procedures and is safe and suitable for all skin types, including tanned skin. The treatment renews the elasticity and hydration of the top layer of the skin using a unique approach for dermal integration resulting in hydration and the smoothing of fine lines. 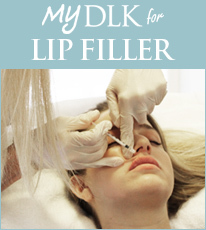 DLK’s Redensity 1 Treatment takes place in a medically-supervised clinic after a consultation. During the consultation, specific skin concerns and goals are addressed and a customized management plan will be formulated. The treatment is ideal for patients interested in long-term improvement. The treatment consists of small injections using a fine needle and takes approximately 30-40 minutes. Results are immediate with minimal recovery. As the skin matures it begins to show the effects of collagen depletion – which can occur from sun exposure, hormonal changes and aging, fine lines and wrinkles occur. This treatment uses a unique solution that helps to prevent and correct the effects of aging, by improving the skin’s ability to hold water – resulting in the reduction of fine lines. The treatment is based on the injections of small amounts of Hyaluronic Acid plus dermal restructuring complex consisting of 8 amino acids, 3 antioxidants, 2 minerals and 1 vitamin in the neck, upper chest and face to soften fine lines and furrows. Hyaluronic acid (HA) is a natural, complex sugar found in all living cells and an important component of the skin. Hyaluronic acid retains water like a sponge, absorbing more than 1,000 times its weight. This helps to attract water, increasing volume and density and stimulates collagen production. To understand how Redensity 1 treatments works, it helps to know a little about how your skin works. Over time, your skin begins to lose hyaluronic acid and collagen resulting in fine lines, wrinkles, and a loss of fullness and elasticity. Redensity 1 is delivered superficially into the skin using a micro-needling technique, in which tiny amounts of the dermal restructuring complex is injected over the treated area. This combination stimulates growth factors while providing hydration and nourishing components directly to the upper layer of the skin. Treated areas will have tiny elevated blips that will integrate into the skin over the next 8 hours. Mild redness and bruising may occur. Although patients can return to their normal activity immediately following the treatment, it may be desirable to cover the area by wearing a high neck or scarf until the swelling subsides. For facial treatment it is better to come in later in the day and allow the product to settle into the skin overnight. A liquid hydrating peptide gel applied the area twice daily enhances and maintains results. Redensity 1 treatment results are visible a few days after the treatment and are cumulative with each session. Three sessions every 2-3 weeks followed by renewal treatments every 3-4 months are recommended for optimal results.